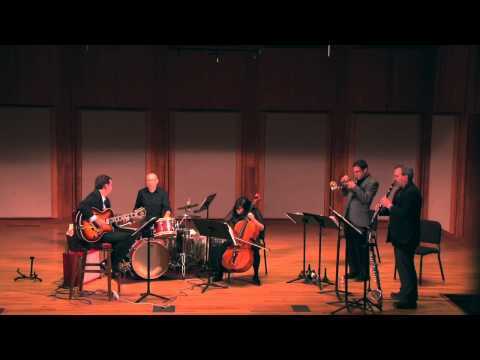 Two years ago, guitarist, composer, and arranger Eric Hofbauer released two fascinating CDs with his Quintet under the monickers of "Prehistoric Jazz Volumes 1 and 2 (released on his Creative Nation Music label). The first was a reimagining of Igor Stravinsky's "The Rite of Spring" and the second a journey into Olivier Messiaen's "Quartet for the End of Time." 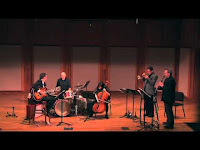 The splendid ensemble - Jerry Sabatini (trumpet), Todd Brunel (Bb clarinet, bass clarinet), Junko Fujiwara (cello), and Curt Newton (drums and percussion) - took hold of the material and, thanks to the inventive arrangements and despite the title of the project, made listeners hear the material with new ears. Also important to the overall project were David Adler's impressive liner notes. The team is back, including Adler, for "Volume 3." 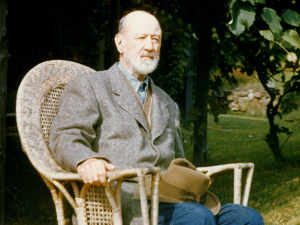 This time, the Quintet tackles the quintessential American composer Charles Ives (pictured left) and his "Three Places in New England." Ives, well-known for his insertion of hymns, marching band tunes, and dissonant melodies in the midst of his symphonies, does not have a huge catalog like Aaron Copland or Leonard Bernstein and he continually worked on pieces - Ives started sketching out "Three Places..." in 1903, did the main work between 1911-14 and finished revisions in 1929. 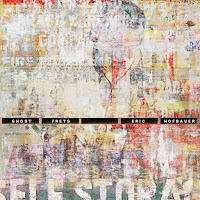 What Hofbauer has done here is create an atmosphere that takes Ives's piece through various stages of jazz. One hears a touch of early New Orleans, Duke Ellington's "jungle music", swing, bop and more, doubling the piece from its 20-minute structure with the additions of solos and group-within-the-Quintet interaction. The real joy is how well this approach works. All the musicians are stalwarts. The crisp electro-acoustic sound of Hofbauer, the classically inspired tones of Sabatini's trumpet, the round sounds and "hot" swing of Brunel's clarinet, and the drive plus the colors that Newton produces. Extra credit should go to Ms. Fujiwara as both her arco and pizzicato work are par excellence (she "walks" a bass line with the fluidity of Ron Carter and Christian McBride). 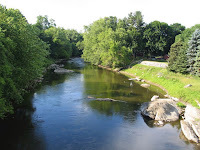 Just listen how the Quintet creates an amazing amount of musical heat (while maintaining a fine sense of humor) on "Putnam's Camp, Redding Connecticut" yet also allows for Ives's melodies and "quotes" to be heard. Guitarist Bill Frisell recorded "The "St. Gauden's" in Boston Common", the composer's tribute to the sculpture dedicated to the first African American regiment to fight in the Civil War. While Frisell's 1993 version was fairly short, Hofbauer stretches this performance to 17 minutes, going in so many different directions. By the time the listener reaches the third and final track, "The Housatonic at Stockbridge", one is ready for this crazy blend of hymn and "free" playing that reaches a thunderous climax followed by a quiet guitar melody that takes the piece to its close. The music does not seem finished, as if both Ives and Hofbauer could see a continuation of these studies. No matter how you perceive the closing movement, this music is a striking piece of Americana. Charles Ives pushed the boundaries of classical music with his approach to orchestral and solo works (his songs also cover a great amount of territory and one can hear how they influenced composers like Aaron Copland and Randy Newman). 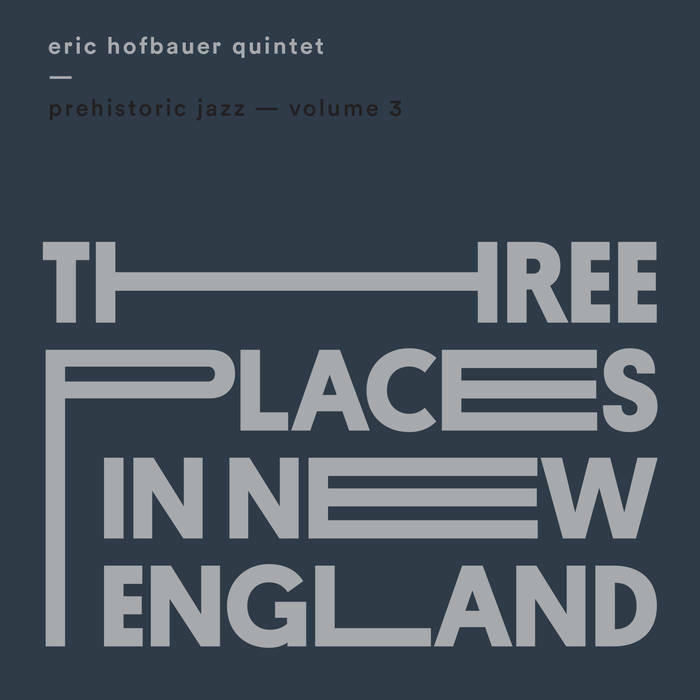 Eric Hofbauer and Quintet also push boundaries, make you hear American music in different ways, illustrating the fusion of styles that compelled Ives and the multitude of curious jazz and classical performers and composers throughout the 20th Century to the present day. 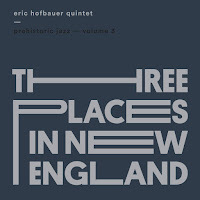 "Three Places in New England" is quite an aural treat - enjoy the journey. 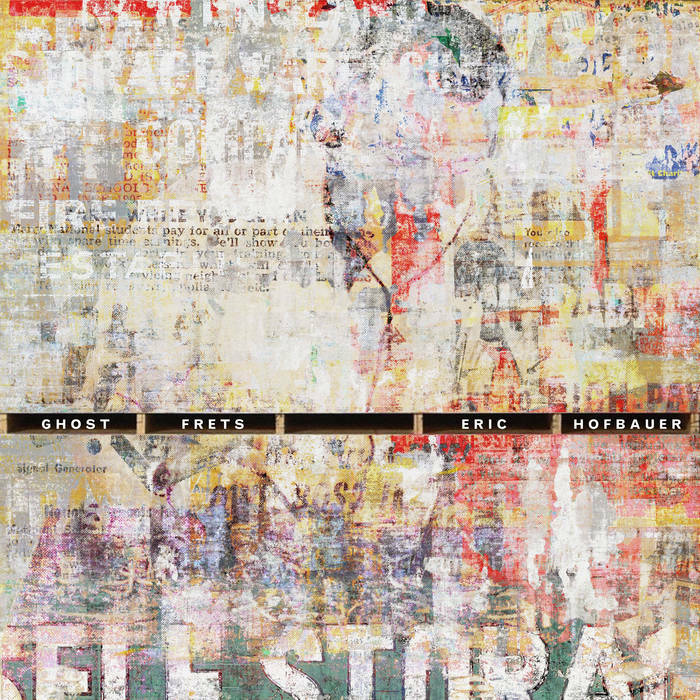 Earlier this Autumn, guitarist Hofbauer digitally released "Ghost Frets" (Creative Nation Music), an 11-track solo guitar album dedicated to his late musical partner, guitarist Garrison Fewell (1953-2015). Over the years, the two musicians had a built a bond based on exploring music from all genres and styles. Though they only released one album together - 2007's "The Lady of Khartoum" - the duo spent a lot of time playing together. That sense of openness and play is quite audible on the new recording, an eclectic blend of improvisations, two pieces by Fewell, and one track each from Thelonious Monk ("Let's Cool One"), Eric Dolphy ("Out To Lunch"), Joe "King" Oliver ("Buddy Bolden's Blues"), George Harrison ("All Things Must Pass"), and Richard L. Butler and Timothy Butler of The Psychedelic Furs ("The Ghost In You"). The eclectic choice of material plus the improvisations gives the listener plenty of choices to find their way. Two of the first three tracks are come from Fewell, the pleasing swing of "Blues Update" and the fascinating "Ayleristic" with its blend of John Fahey, Robert Johnson, and Sandy Bull. There's a sense of mystery to the latter track, a sense that Hofbauer is listening to his former partner's voice telling him to dig deeper, into the emotional heart of the music. This whole project has a sense of purpose; one gets a feeling these musical stories need to be told. The depth of the audio is intense, the guitar sound flowing from the speakers or into earphones clean and clear. Whether it's the slide guitar reading of the Harrison song (an impressionistic opening leads to a bluesy and intoxicated reading of the melody) or the traditional yet contemporary take on "Buddy Bolden's Blues", this music is engrossing. Monk's tune has a pleasing swing and like that master's music, is filled with rhythmic surprises. "The Ghost In You" has a fine melody and a lightness that lasts the entire piece. Not surprisingly, "Out to Lunch" displays the angularity and playfulness of the original. 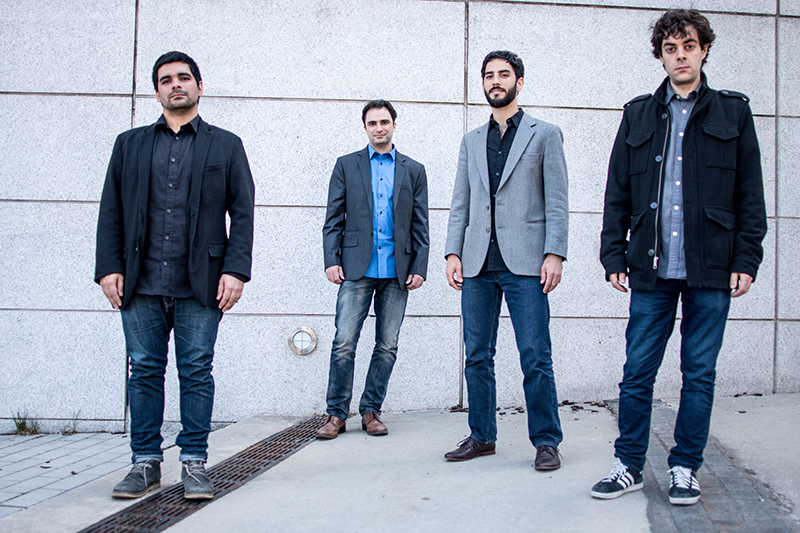 The improvised pieces runs from the percussive "Masafir" (the guitarist creating the rhythm plucking the strings behind the bridge) to the playful rhythmic swing of "Scratchadelic" (listen and you'll understand the song's title) and on to the Monk-inspired "Meet @ Office, Midnight" (a bluesy ballad) to the album closer "A Sognare di Bergamo" (another ballad, this one with a Romantic classical feel). "Ghost Frets" also includes liner notes from David Adler that are well worth checking out, especially for the explanation of the relationship Eric Hofbauer had with Garrison Fewell. The album is a tribute but not in the traditional sense. Yes, it celebrates the relationship of the two musicians but also celebrates the artist's connection to music. Music this good has stories embedded in the notes and the performances, in the slide of the guitarist's fingers on the fret board, on the strength of the plucked notes and chords. Each listener will find different ways into this music but, with patience and a sense of curiosity, each person will be rewarded. My ever-so-positive feelings about the musicianship of drummer and composer Rudy Royston are well-documented in these posts as well as in the "real world." His work with the Dave Douglas Quintet, with saxophonist J.D. 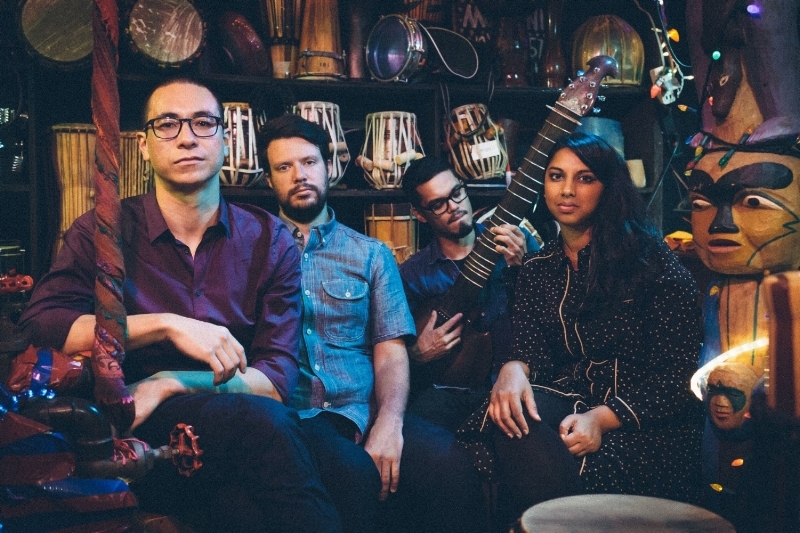 Allen, Rudresh Mahanthappa's Bird Calls, guitarist Bill Frisell, and so many others, has seen critics, reviewers, and audiences around the world singing his praises. 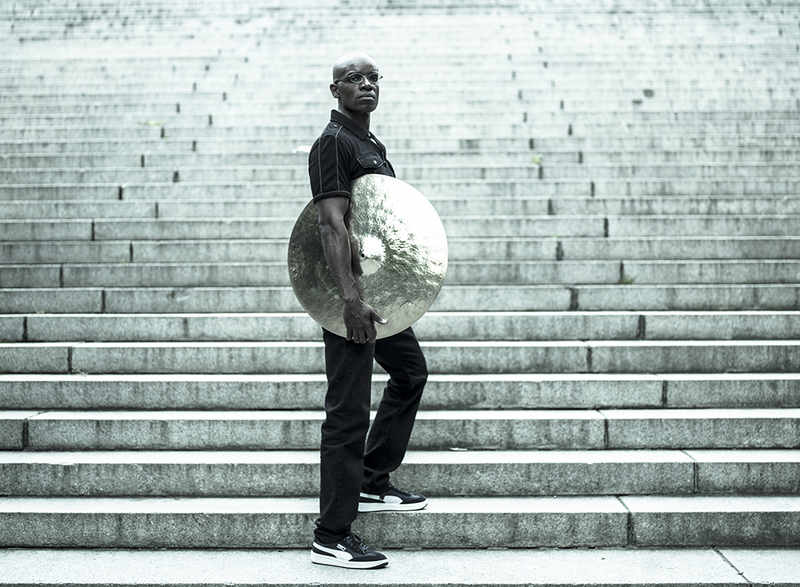 "RisE of Orion" (Greenleaf Music) is his second album as a leader; his debut, "303", featured his sextet plus second bassist Mimi Jones (his sister-in-law). "...Orion" is a trio date recorded on Leap Day 2016 with Jon Irabagon (tenor and soprano saxophones) and Yasushi Nakamura (bass). The 13-song program (5 tracks are under two minutes, all but one fading in and out) covers plenty of territory. The title track opens the album and might remind some of Sonny Rollins's "Freedom Suite", especially the more fiery sections. The performance has such great forward motion, pulling the listener into its flow. What power there is in this music and it's not just the thunderous material. 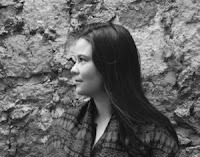 Dig the gentle sway of "Sister Mother Clara", Irabagon's thoughtful and impressionistic soprano sax leading the way; pay close attention to Nakamura's melodic bass work and splendid solo. The bassist's stunning opening to "Make a Smile for Me" (composed by Bill Withers for his "+ Justments" Lp) on which he introduces the handsome melody stands out as does the soprano sax work. The trio takes its time, getting deeply into the emotion of the ballad, caressing the melody, and allowing one to get lost in this most gentle piece. More surprising is the take of "Dido's Lament", by 17th Century British composer Henry Purcell. Reinterpreted as a blues ballad, Irabagon's shape-shifting soprano cries, wails, and shouts as Nakamura and Royston add fuel to his fire. The soulful quality of "We Had It All" (the influence of Stax Records shines through the opening minutes of the track) features an incredibly powerful solo from Irabagon on tenor. He also digs in on "Kolbe War" - the melody, inspired by Royston's son, isn't much but the trio plays with such fire that it's easy to enter the fray, paying attention to the protean work of the drummer, the fascinating dexterity and creativity of the bassist, all the while the tenor is flying all through the open sky created by the rhythm section. The albums closes on "Belt", 57 seconds of improvisational fire that's not so much an afterthought as it is a reminder of how much fun the the trio is having, setting the stage for a follow-up. 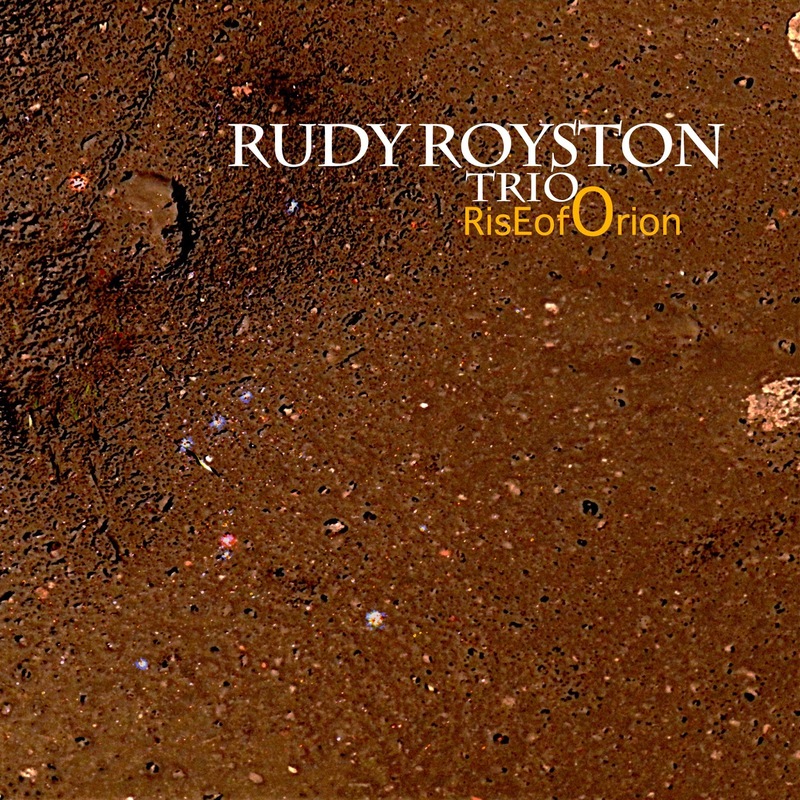 The Rudy Royston Trio makes music that is playful, powerful, soulful, and great listening. 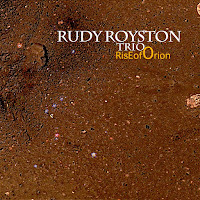 Add "RisE of Orion" to your collection and then go see the Trio live. It just might change your life. For more information and the drummer, go to www.rudyroyston.com. Since this post goes live on Thanksgiving Day, I wish you all a wonderful day and a Great Holoday Season. May peace be with you wherever you may be or plan to go. There seems to be a surplus of young bands playing fascinating music these days and nights. They have CDs and they're playing gigs in the area. 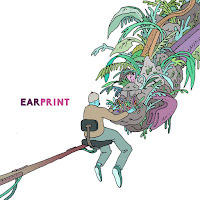 This Friday (11/11), Earprint, a quartet that came together several years while attending the New England Conservatory of Music in Boston, will play a concert for the Jazz at The Underbrook series sponsored by Saybrook College at Yale. 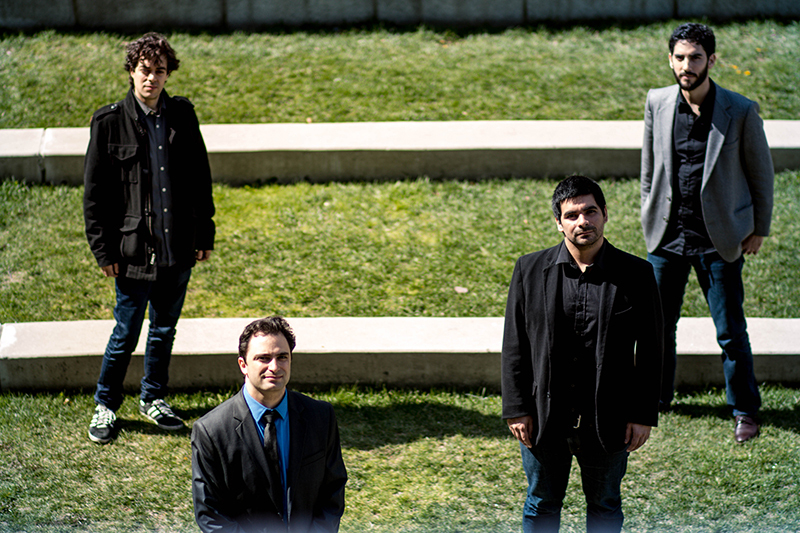 The band (pictured above) has an energetic debut album issued several weeks ago on Endectomorph Music. 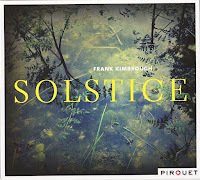 The self-titled recording features Kevin Sun (tenor sax, clarinet), Tree Palmedo (trumpet, ocean drum), Simón Willson (bass), and Dor Herskovits (drums). It's the second debut recording this year for Sun and Willson as they are part of another quartet that records for Endectomorph, Great on Paper (review is here). The earlier album features a pianist - here, the exciting work of Palmedo gives this album great depth and many colors. When he combines his sound with that of the tenor sax, whether in counterpoint (as on "Clock Gears") or in harmony ("School Days" is a good example). And he fly over the solid rhythms of the bass and drums which he does with great panache on "Colonel.". His brash mute work on "Boardroom" makes an interesting partner to Sun's mellower clarinet. The work of Willson and Herskovits sparkles on the majority of the 11 tracks. The bassist creates excellent foundations and is also quite a melodic player. Listen to him dance on ""School Days" and on the playful "Boardroom". The Israeli-born drummer plays with great power as well as finesse. He helps create the mysterious air in "The Holy Quiet", Sun's musical reaction to the church shooting in Charleston, South Carolina. The drummer contributed three songs, including the powerful closing track, "Six Nine", a piece that takes a number of twists and turns yet never loses its way. Sun, who wrote six of the songs, plays with grace and power often doing both on the same tune. The singing opening line of Palmedo's "The Golden Girder Strikes Again" gives way to a powerful beat and a funky melody.The trumpeter trades lines with the tenor with both pushing the piece forward alongside the rhythm section. The airy tenor sax, somewhat like Paul Desmond, on "Malingerer", is an excellent companion to the explorations of the rhythm section. 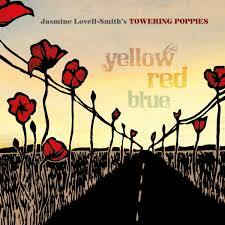 What really stands out on this album is how melodic the band can be. These songs are not "jams" but pieces that were composed with the participants in mind, playing to each one's strengths while creating a group identity. Earprint has vitality, a youthfulness that is refreshing; they also understand what creative music can do, where it can go when you take chances (like jazz players have been doing since the days of Buddy Bolden). For more information, go to www.thekevinsun.com. Jazz at The Underwood takes place in the Underwood Theater, 242 Elm Street, in New Haven. The concert, which is free and open to the public, begins at 8 p.m. For more information, go to campus press.yale.edu/jazzcollective/. Meanwhile, a few blocks away on Crown Street - 45, to be exact - the Fall Concert Series at Firehouse 12 welcomes Amirtha Kidambi's Elder Ones Quartet. 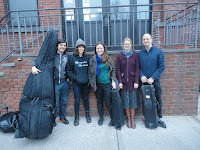 Ms. Kidambi, a vocalist, composer, and harmonium player, has created music for this band - Brandon Lopez (bass), Matt Nelson (soprano saxophone), and Max Jaffe (drums) - that covers a great swath of musical territory. 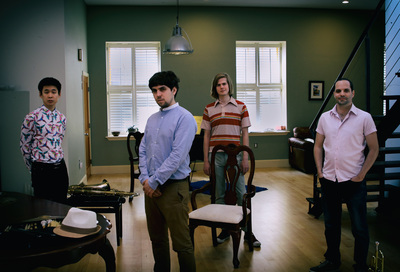 The Quartet is celebrating its debut album, "Holy Science" (Northern Spy Records) on the day of its release. There is an experimental edge to the music, thanks to the blend of voice with the instruments and the active drumming, the pieces often go in unexpected directions. The music takes its time to unwind, the pieces usually stretching out beyond 10 minutes. The harmonium and bowed bass often create a drone to introduce a song while the drums and saxophone push the music out from its center. Amirtha Kidambi's Elder Ones Quartet will play two sets - 8:30 and 10 p.m. For more information, go to firehouse12.com or call 203-785-0468. To find out more about Ms. Kidambi, her band, plus her work with guitarist Mary Halvorson's Code Girl (alongside drummer Tomas Fujiwara, bassist Michael Formanek, and trumpeter Ambrose Akinmusire), go to www.amirthakidambi.com. Amirtha Kidambi’s Elder Ones: Kali Yuga from EMPAC @ Rensselaer on Vimeo. I cannot speak for all people who review music but there are days and nights one yearns to get lost in a recording; just let the music play, close your eyes, and enjoy the flow. That's exactly how I felt the first few times listening to the new CD from the quartet known as Beekman. "Vol. 02" (Ropeadope) is the ensemble's second (obviously) album, the first (yes, "Vol. 01") issued in early 2015 on the Chilean Discos Pendiente label. 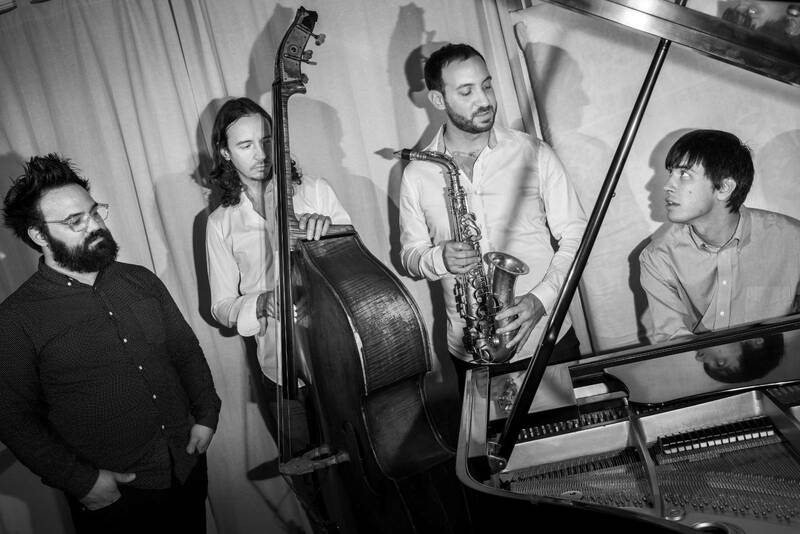 Composed of Kyle Nasser (tenor and soprano saxophones), Pablo Menares (bass), Rodrigo Recabarren (drums), and Yago Vazquez (acoustic piano, Fender Rhodes), the band first came together in 2012 as all four were living in Brooklyn NY. Each member is a busy side person but this ensemble gives them the opportunity to create new material. Upon first examination, this music felt as if it was inspired by the airiness and adventurous explorations of Charles Lloyd, Wayne Shorter, and Guillermo Klein. There's no clutter here. Pieces such as the opening "Canción Al Licor De Ave" (composed by Recabarren) and Nasser's "Something Unsettled" glide and soar on the power of the drums and splendid foundation laid by the bass. The latter track employs Vazquez's Rhodes for its blueprint with the drums dancing around the rhythm and the bass a solid bottom while the soprano sax reads the melody and rides the waves of cymbals. Melody is so important to this music. The pianist's "Recovered" offers Nasser's soprano sax more room for an extended flight and he takes full advantage. The conversational quality of the rhythm section support also gives Vazquez the chance to open up the melody and build a sparkling solo. The solo piano opening of Menares's "En Otro Lugar" gives away to a lovely ballad, an emotionally strong melody line played by tenor saxophone (listen underneath to the playful percussion) - the composer gets to solo and shows his melodic chops (Menares often works with vocalists and it's obvious in his clear tones and intelligent counterpoint). By the time you come to the close of the final track, Vazquez's lovely "Farewell" (the melody has the quality of a traditional Spanish folk song, the composer's homeland), the listener has been on a journey of great enjoyment. 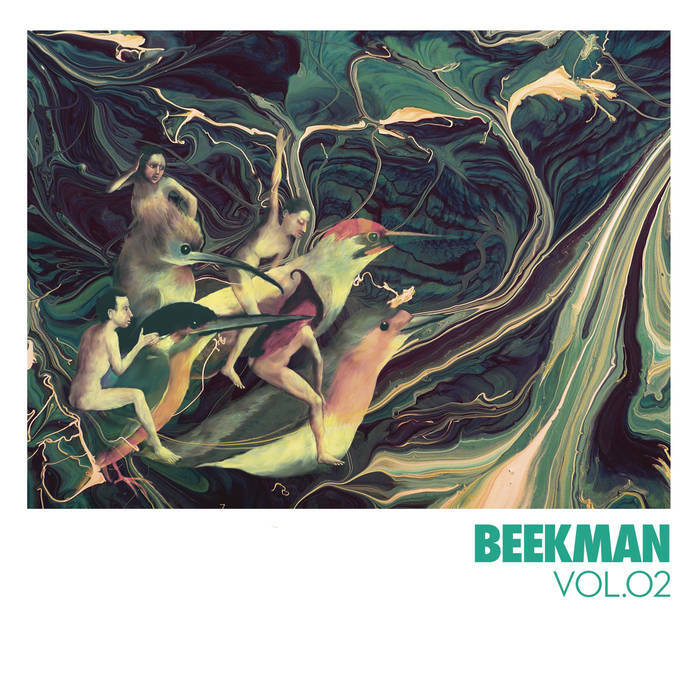 Beekman is a talented quartet yet rarely if ever substitute technique for emotion or simple riffs for melody. 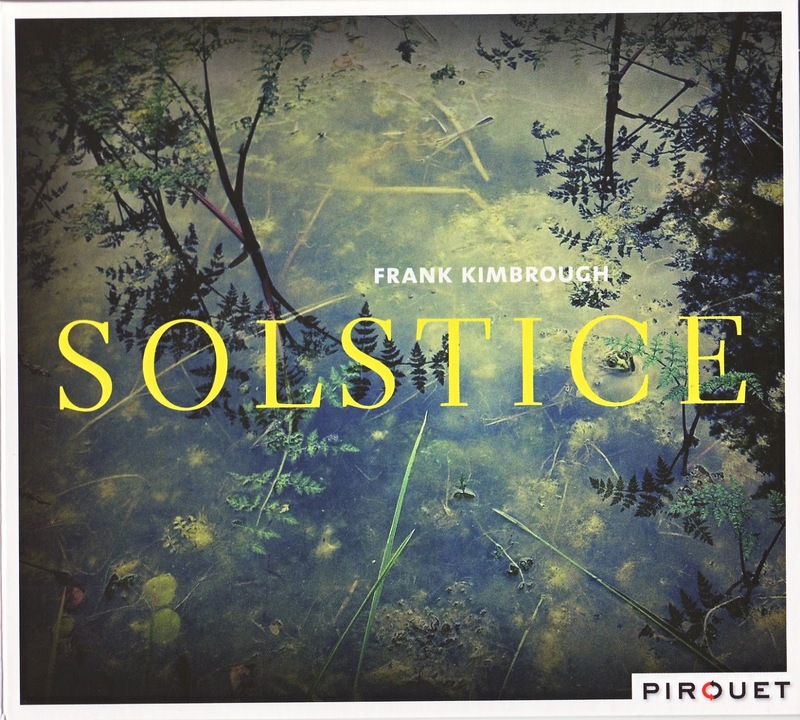 My recommendation is to play this album several times in a row, listen to the melodies or the rhythms, return for the solos and the brilliance of the rhythm section; notice the joy that an ensemble can create when they breathe as one and when all go in different directions and come back together without missing a beat or truncating a solo. "Vol. 02" should lead back to find its classy predecessor and make you anxious to see this splendid ensemble live in concert. 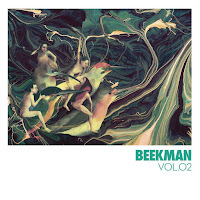 For more information, go to beekmanmusic.com. 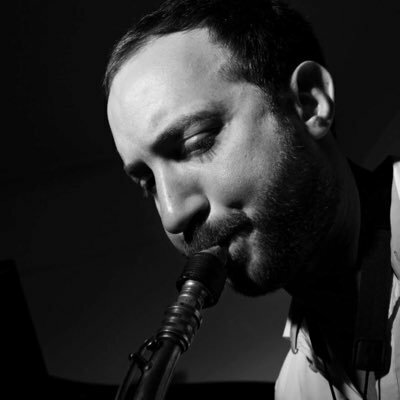 Saxophonist and composer Alex LoRe released his debut album in April of 2016. "Dream House" (Inner Circle Music) is a trio recording on which the alto saxophonist received solid support and a lot of coaxing and pushing from bassist Desmond White and drummer Colin Stranahan. 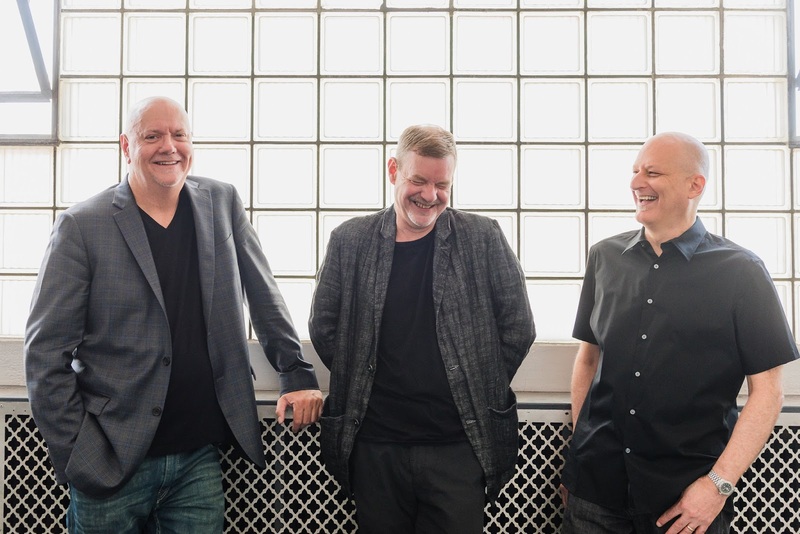 Inner Circle is also the home of LoRe's second recording, "More Figs and Blue Things", the rhythm section is back and has been expanded with the addition of pianist Glenn Zaleski (who has been Stranahan's musical partner on numerous recordings and gigs. The adventurous nature of the debut album is also in this new music, ten new compositions that not only show LoRe's growth as a player but also as a composer. "More Figs..." displays the virtuosity of the musicians yet this is not a show of technical prowess but a delightful blend of melody, improvisation, and a willingness to take the music in unexpected directions. Check out Stranahan propels the opening track, "Southbound"; he's as melodic as the other instruments and so fiery supporting the soloists. The leader's alto style leans more towards Lee Konitz than Charlie Parker but there is fire and passion in his solos that suggests Miguel Zenon. Zaleski's lovely solo introduction to "Away" lasts two lovely minutes and he also has the main melody and first solo. LoRe doesn't show up until three-and-a-half minutes in with a solo that is filled with true emotion. There are several more ballads on the recording including the striking "No More Blue Skies." Based on the composer's reaction to a 13-year old Pakistani boy whose grandmother was killed by a US drone strike. The powerful melody line is underpinned by Stranahan's incredible drumming that moves from martial snare work to sparkling cymbals. Trying to make sense of the senseless, knowing that words often fail at doing that, the music stuns one into silence. Among the unexpected directions this music takes is the short duo piece "Interlude." 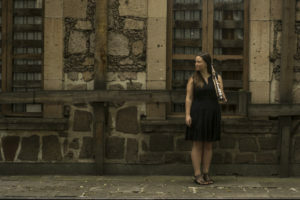 Here, the leader is heard on xaphoon (a single reed woodwind instrument that sounds like a clarinet) supported only by White and the sounds of the woods near the Connecticut studio where the album was recorded. That cut (64 seconds) leads into "Figs For Birds", the longest track (9:13) on the album. A multi-sectioned piece, the songs features a long, winding, melody line played by alto sax and piano pushed forward by White's wonderfully melodic bass and Stranahan's exciting drums and cymbals. LoRe and Zaleski carry on a conversation until the pianist steps out for a solo that includes an introspective soliloquy. When the rhythm section returns, the music follows the inward path the pianist had taken during his solo. 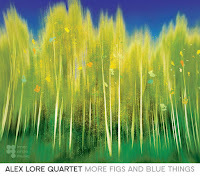 There are moments when the band on "More Figs and Blue Things" moves in ways similar to that of Keith Jarrett's European quartet (Jan Garbarek, Palle Danielsson, and Jon Christensen), especially on "Normal." But, one can tell that this composer has different influences and a different agenda. There are excellent solos throughout, this rhythm section has such freedom to explore its possibilities (listen to White and Stranahan during the sax and piano interchange on "Next Time"), and one can hear that everyone is totally committed to this music. 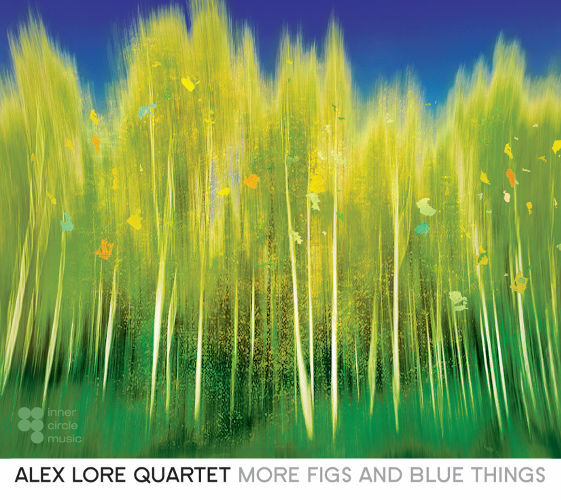 Judging by his excellent debut, I should not be surprised by how good this new album by the Alex LoRe Quartet is. I am. This is better than good music; it's outstanding. Contemporary and timeless, "More Figs and Blue Things" will reward the curious listener many times over. For more information, go to www.alexlore.com. For the third week in a row, Firehouse 12 in New Haven welcomes a group either led by a drummer/composer and/or an ensemble where the drums are the lynchpin of the music. 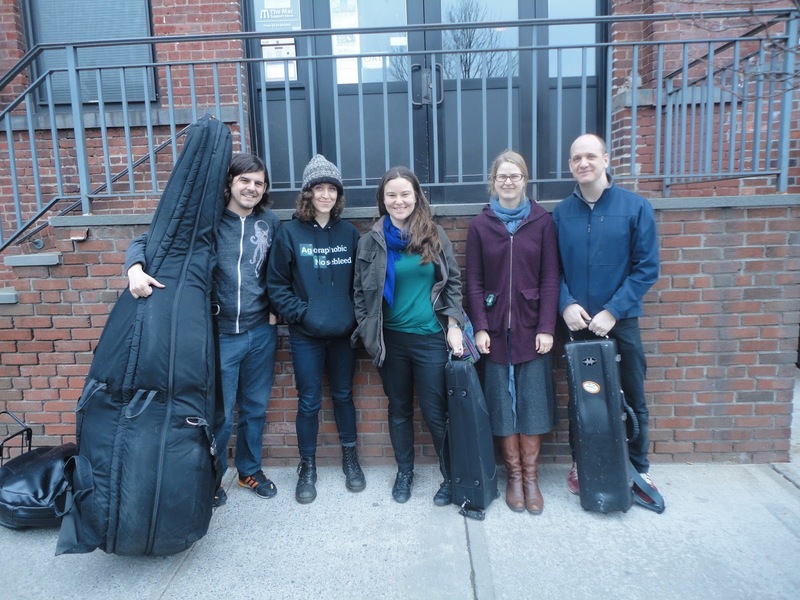 On 10/21, the Elm City venue presented the Claudia Quintet with John Hollenbeck and the following week, the performance space shook from the power of Dan Weiss's drums in service of pianist Matt Mitchell's Quartet. 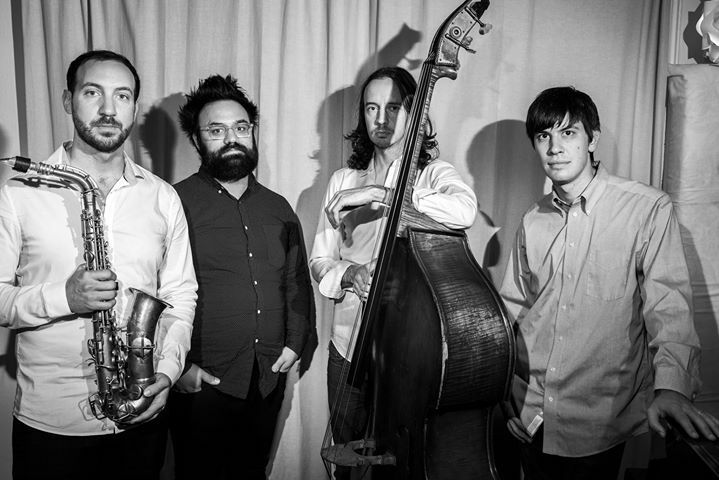 This Friday (11/04), it's Brian Adler's SHANKAR, a quintet led by drummer/composer/educator Brian Adler and featuring Matt Moran (vibraphone, who plays with Claudia), Rob Jost (bass), Jonathan Goldberger (guitar), and Santiago Leibson (piano). The ensemble has a brand-new EP, "Mysteries of the Deep" (Circavision), four songs that mine the various musical veins the composer has been studying for years. 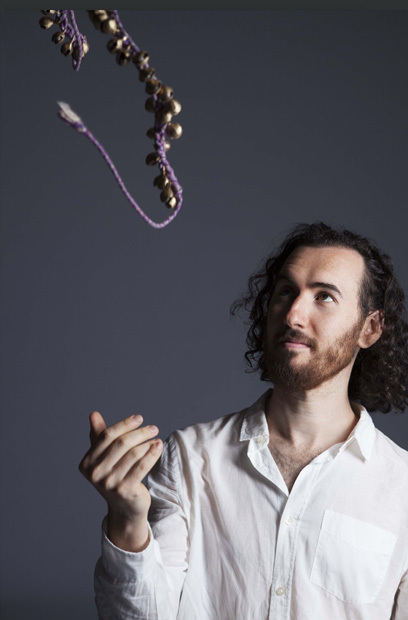 The four songs move in waves, flowing rather than swinging, with pieces that invite introspection ("Windy Path") while another makes you move your feet with delight ("Rudram"). The interactions of the instrumentalists feel as if they are breathing as one even when the music heads "out" ("Pulses"). Adler has also released a Trio date, titled "Binary", at the same, whose five short tracks feature the drummer in conversation with the Argentinean-born Leibson and bassist Jost. Both are available by going to brianshankaradler.bandcamp.com. 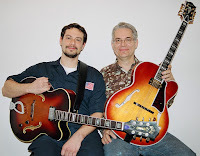 The Quintet will play two sets - 8:30 and 10 p.m. - you can get more information by going to firehouse12.com or calling 203-785-0468. Hard to believe that it's been over two decades since pianist Jacky Terrasson burst onto the scene. Initially, he was yet another fine, fleet-fingered, soloist whose style seemed to grow out of Bud Powell and other post-bop players. Over the years, Terrasson has proven himself to be a master of many styles, working with vocalists as diverse as Betty Carter, Cassandra Wilson, and, most recently, with Rigmor Gustafsson. He's coming to The Side Door Jazz Club in Old Lyme this Friday night with as a yet un-named rhythm section. The first set starts at 8:30 p.m. and it should be chock-full of good music and smart interactions. On Saturday evening, Jan and Ken welcome The Bridge Trio. Born and based in New Orleans, TBT features the impressive rhythm section of drummer Joe Dyson Jr. (Donald Harrison, Christian Scott) and bassist Max Moran (Herlin Riley, Donald Harrison) plus keyboard artist Conun Pappas Jr. "Bridge" is an apropos name as the group's music has its roots in the Crescent City's plethora of styles. 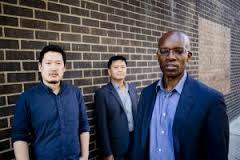 Their latest recording, 2015's "The Search: Departure", opens with the funky "Access Approved" (popping electric bass and soaring synths over a dancing beat) moving on to the soul-gospel feel of "Warrior" and on to the fiery post-bop of "Ode To Black" and the sweet r'n'b feel of "Hipness." Find out more about this youthful triumvirate by going to thebridgetrio.tumblr.com. Doors open at 7:30 p.m. and the music starts 60 minutes later. For more information, go to thesidedoorjazz.com or call 860-434-0886. 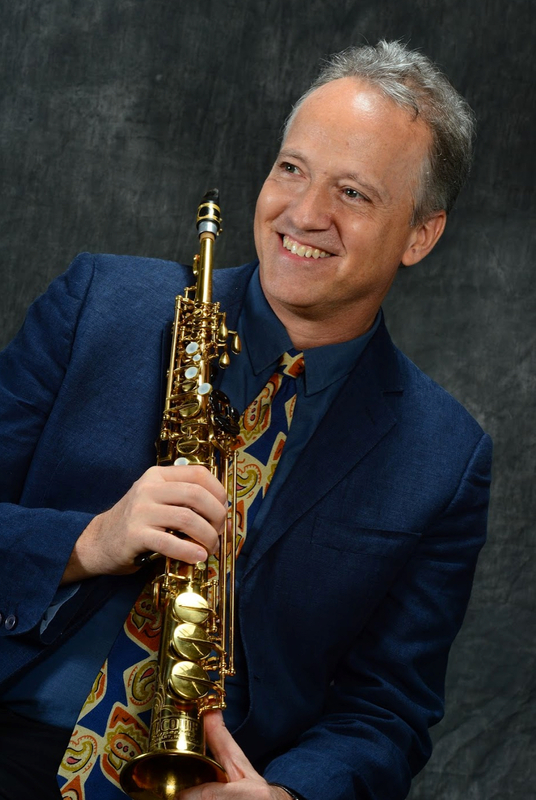 During the most contentious Presidential election in modern history, saxophonist, flutist, composer, and arranger Ted Nash has created a project to remind one and all of the power of rhetoric, how leaders can make their nations sit up and pay attention to words that bring people together. "Presidential Suite: Eight Variations on Freedom" (Motema Music) takes the words of John F. Kennedy, Jawaharlal Nehru, Franklin D. Roosevelt, Ronald Reagan, Winston Churchill, Aung San Suu Kyi, Lyndon B. Johnson, and Nelson Mandela and sets them to a music that is, at times, stirring, highly emotional, hopeful, stunning, and seriously swinging in its breadth and vitality. 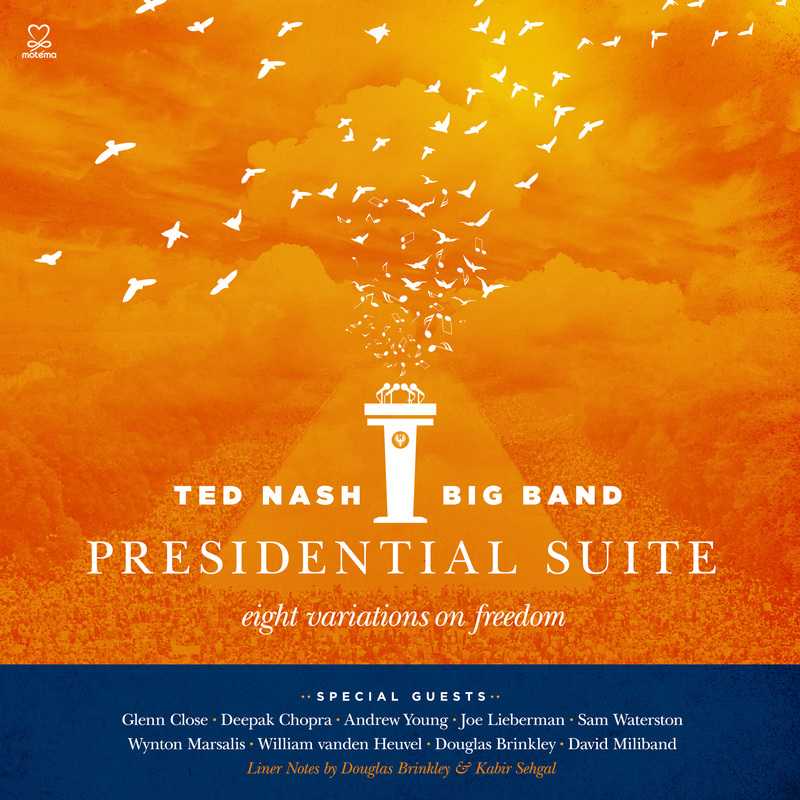 The "swing" is provided by the Ted Nash Big Band, really the Lincoln Center Jazz Orchestra minus its leader Wynton Marsalis (who does appear as a guest soloist). Nash wisely chose to include snippets of each person's speech to introduce the songs (when you watch the video, you'll get a good idea of his "composing style) and the readings and readers make the music even more powerful. After the short musical "Overture" (that brims with promise), Former Senator Joe Lieberman of Connecticut reads JFK's "Ask Not" section of his 1961 Inaugural Address and, for many of us who came of age in the 1960s, the words move us yet again. The music Nash supplies is brash, bluesy, and self-assured, not unlike the man who wrote the words who seemed to make America young again after two terms of the grandfatherly Dwight D. Eisenhower. Interesting how the music stops as it is ready to move to something new, the composer saddened by the sudden death of the President. 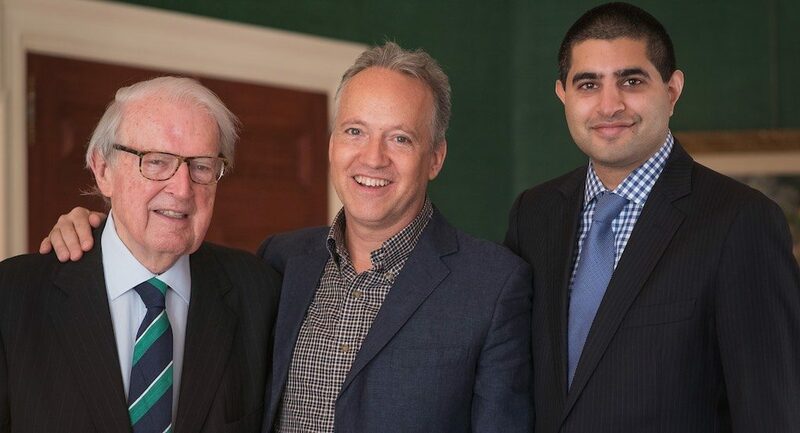 Elsewhere, Ambassador William vanden Heuvel (pictured left with Nash and Executive Producer Kabir Sehgal) reads FDR's "Four Freedoms" (from the 1941 Inaugural speech) and the music speaks of the blues and swing of the Depression. Presidential historian Douglas Brinkley reads the "Tear Down the Wall" speech of President Reagan and the subsequent music is surprisingly subdued, filled with gravitas as well as a brilliant trumpet solo from Marcus Printup. Sam Waterson takes on "The American Promise" speech of LBJ, the one that starts "I speak tonight for the dignity of man and the destiny of democracy", the same speech that the Electric Flag made the derisive opening of its debut album in 1968. It's really a brilliant speech (written by Richard Goodwin) with words that bear repeating today. The music blends a country-and-western riff with sophisticated swing (a la Duke Ellington) and a sparkling solo from Marsalis. 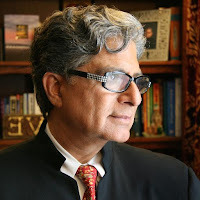 Deepak Chopra recites Nehru's brilliant speech on the freedom of India ("Spoken at Midnight") and Nash's music uses South India music as a touchstone to a handsome melody and his own soaring soprano sax solo. After David Miliband (former Secretary of State for Foreign and Commonwealth Affairs) reads Churchill's stunning speech in the wake of the "miracle at Dunkirk", the music opens with a powerful statement from the saxophone section (in the fashion of Julius Hemphill's arrangements for the World Saxophone Quartet), baritone saxophonist Joe Temperley (who passed 20 months after the recording session) plays the opening melody before giving way to Nash's alto sax (the late saxophonist also plays counterpoint throughout). Glenn Close reads the words of Suu Kyi ("Water in Cupped Hands" ) and the subsequent music may remind some of Ellington's "Far East Suite" and the Duke's music impressions of his band's trip to the Middle and Far East (although they did not touch down in Myanmar, Burma in the time of his trip). Former Mayor of Atlanta, GA, and US Ambassador to the United Nations Andrew Young reads an excerpt from Nelson Mandela's 1994 Inaugural Address. The song title, "The Time for The Healing of the Wounds", is so hopeful and the music that follows blends South African and reggae rhythms. Trombonist Chris Crenshaw not only plays the melody but reiterates the words that Ambassador Young had read just moments before. The piece brings the album to a loping close, an easy rhythmic gait that fades on on the trombone's swagger. "Presidential Suite" will mean many things to different people but the words plus the music remind us that America can be great when our leaders work to unite citizens. Even when this country's (and the others represented on this album) problems are front-and-center, we have had leaders step up to inspire us. This music, with many songs based on the rhythms and words of African Americans, fills one with hope even in treacherous times. 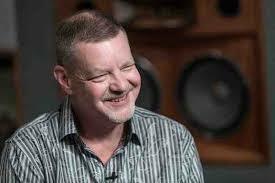 Ted Nash has done listeners a great service with this music, illustrating that words and music can have a positive effect on us all. Please listen. 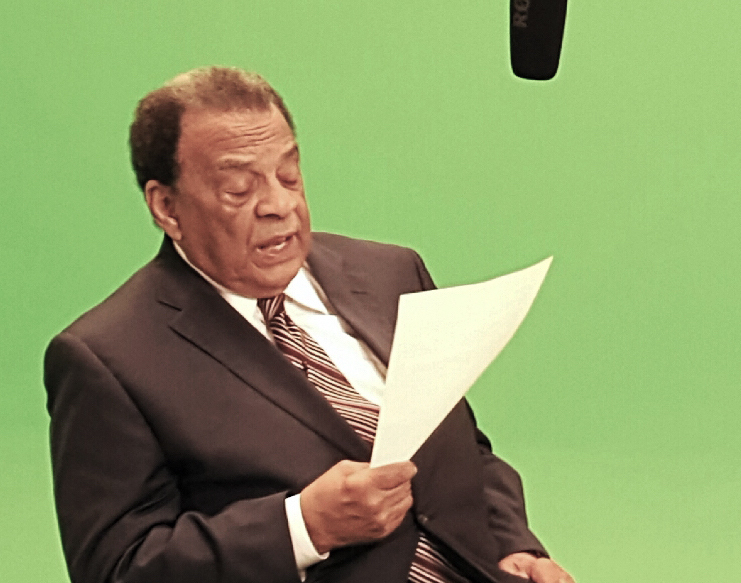 For more information, go to www.presidential-suite.net. The album package comes with an excellent booklet plus a second disk of the music without the spoken words.